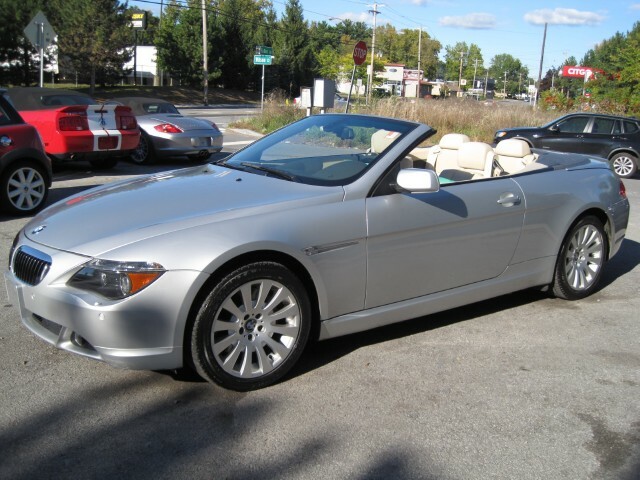 69020 MILES - ONE OWNER, ALL ORIGINAL MILES - GUARANTEED. 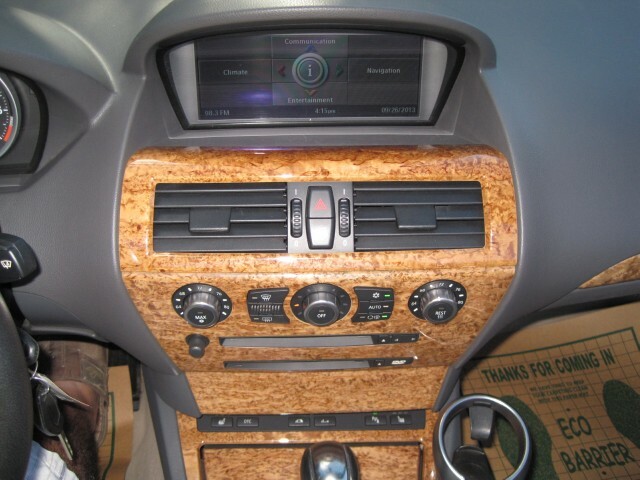 IT IS LOADED WITH FEATURES AND OPTIONS. 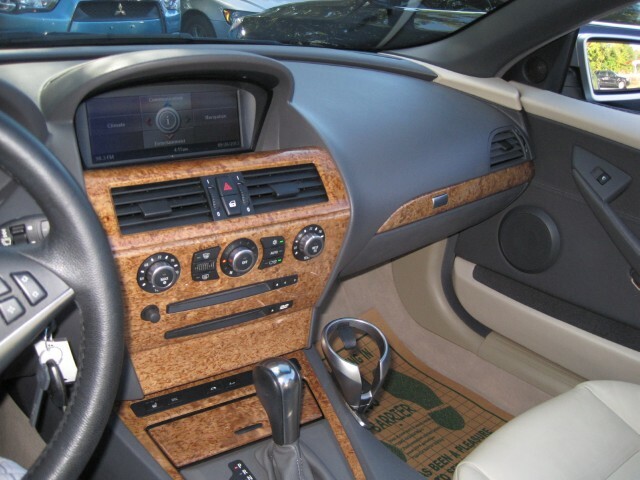 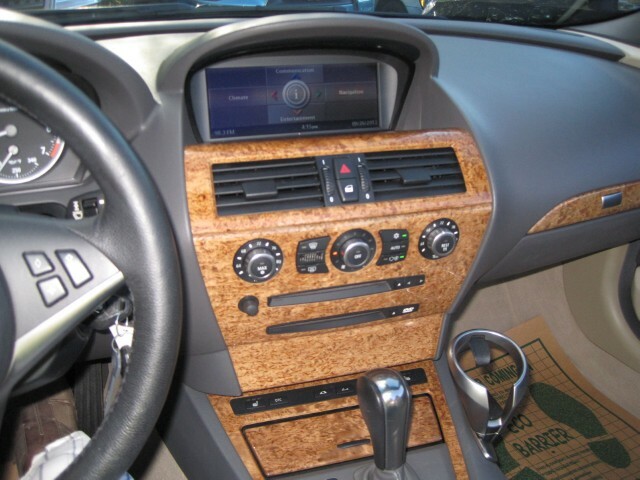 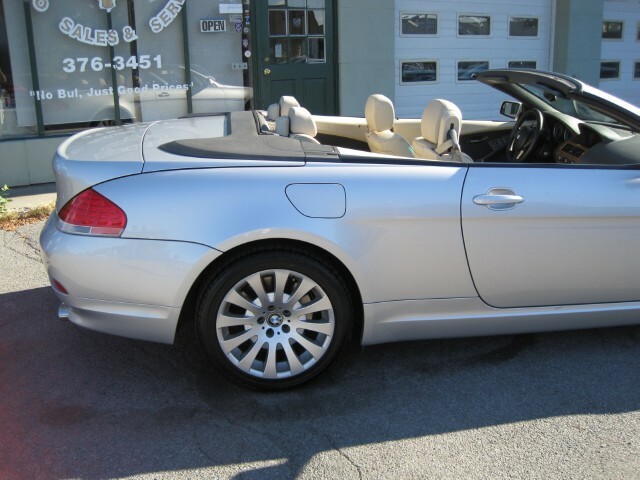 IT HAS THE PREMIUM SOUND PACKAGE, PREMIUM PACKAGE - ALL PREMIUM PACKAGE FEATURES ARE STANDARD EQUIPMENT, BMW NAVIGATION SYSTEM WITH BLUETOOTH WIRELESS COMMUNICATION SYSTEM, WOOD INTERIOR TRIM, SILVER METALLIC EXTERIOR COLOR, SAND BEIGE TAN LEATHER INTERIOR, GRAY POWER OPERATED SOFT TOP, 18 INCH ALLOY WHEELS WITH ALL SEASON, REAR GLASS WINDSHIELD WITH DEFROSTER, PARK DISTANCE CONTROL, ADAPTIVE HEADLIGHT CONTROL, XENON HEADLIGHTS WITH HEADLAMP WASHER SYSTEM, DUAL POWER SEATS WITH MEMORY, DUAL ZONE DIGITAL CLIMATE CONTROLLED AIR CONDITIONING, 4.4i V8 ENGINE, 6 SPEED AUTOMATIC STEPTRONIC TRANSMISSION, VEHICLE-SPEED-SENSITIVE POWER ASSISTED VARIABLE STEERING, DSC-DYNAMIC STABILITY CONTROL WITH DTC - DYNAMIC TRACTION CONTROL, ACTIVE ROLL STABILIZATION CONTROL, BA - BRAKE ASSIST, 4 WHEEL DISC BRAKES WITH ELECTRONIC BRAKEFORCE DISTRIBUTION, ADAPTIVE TRANSMISSION CONTROL, AUTOMATIC DIGITAL CLIMATE CONTROLLED AIR CONDITIONING WITH MICRO-FILTER AND AUTOMATIC RECIRCULATION AND SOLAR SENSOR AND HEAT-AT-REST FEATURE, AUTO DIMMING REARVIEW MIRRORS, EXPANDED CHECK-CONTROL VEHICLE MONITORING SYSTEM, ABS - ANTI-LOCKING BRAKE SYSTEM WITH DBC-DYNAMIC BRAKE CONTROL, DUAL FRONT AND SIDE AIRBAGS, Bi-XENON HID HEADLIGHTS WITH DYNAMIC AUTO LEVELING, RAIN SENSING WINDSHIELD WIPERS, BMW ASSIST, VEHICLE AND KEY MEMORY FOR DIFFERENT DRIVERS AND FEATURE SETTINGS, VARIABLE NTERMITENT WINDSHIELD WIPERS, ADAPTIVE FRONT HEADLIGHT SYSTEM WITH HEADLAMP WASHER SYSTEM, POWER ADJUSTABLE TILT/TELESCOPIC STEERING WHEEL WITH MEMORY, MULTI-FUNCTION STEERING WHEEL WITH CONTROLS, FOG LAMPS, AND SO MANY MORE LUXURY AND PERFORMACE OPTIONS. 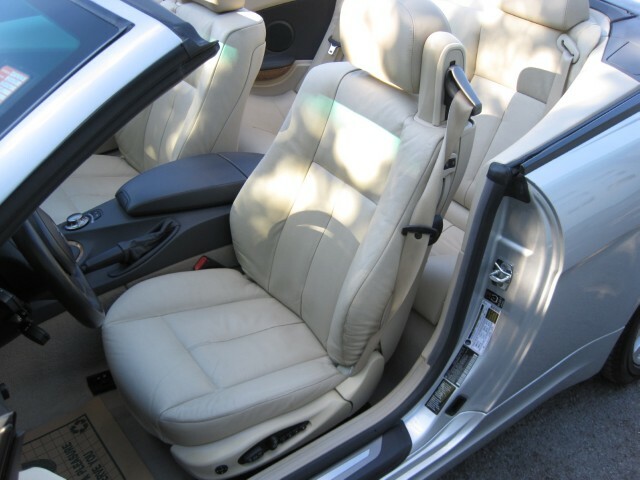 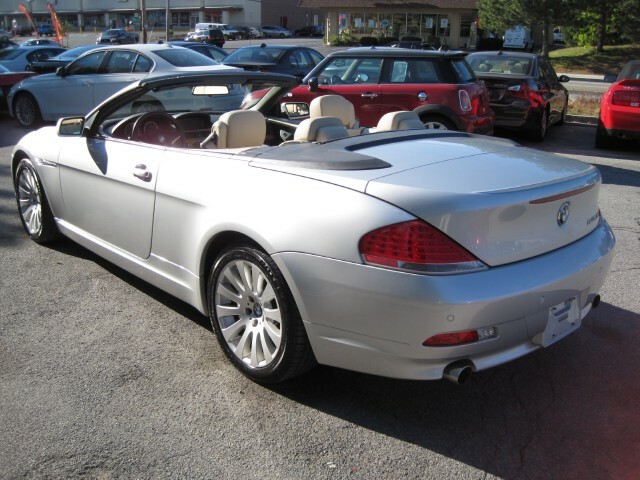 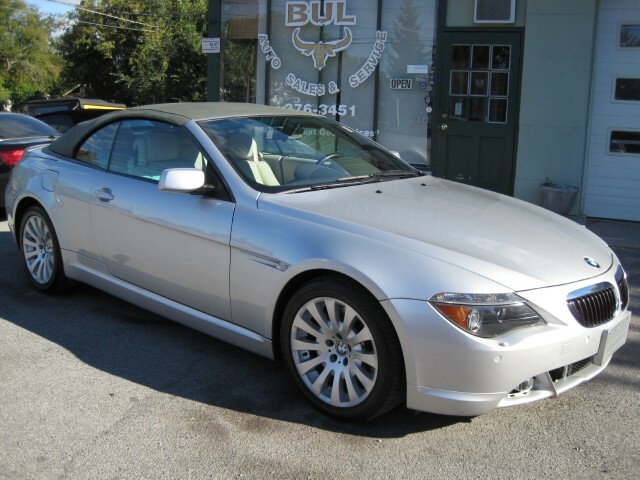 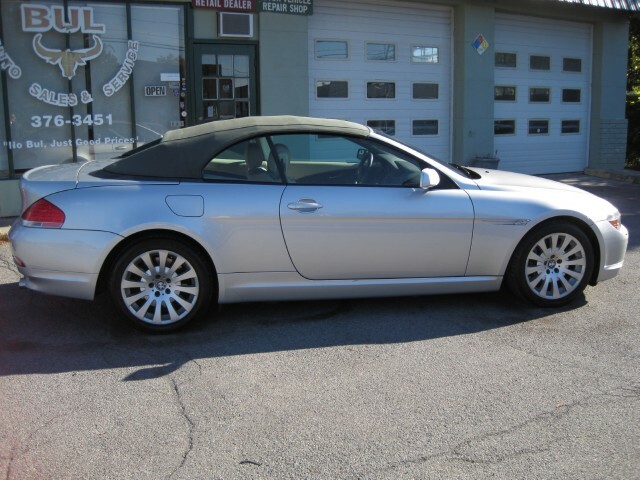 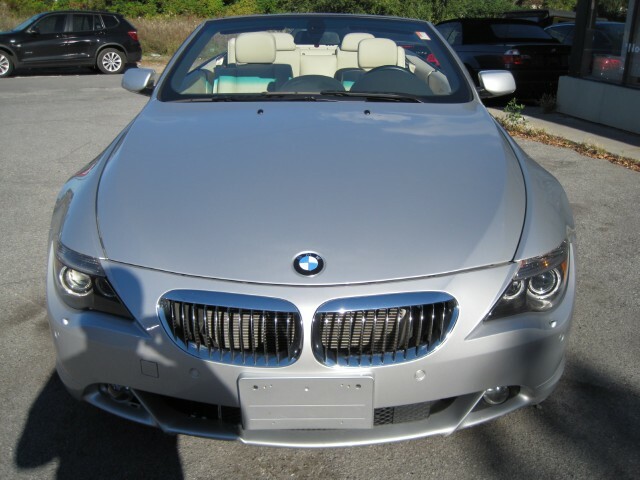 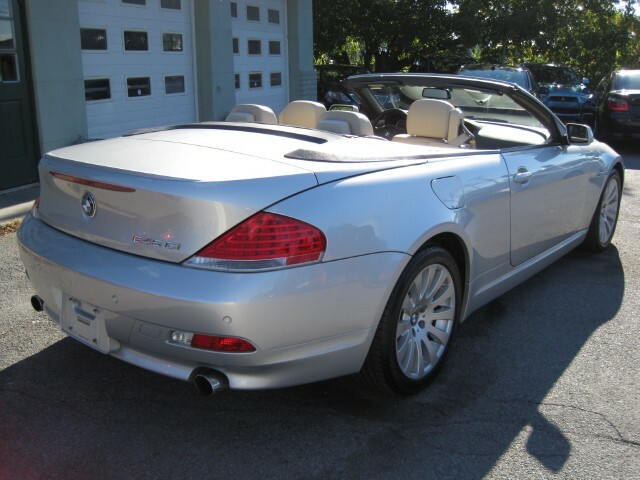 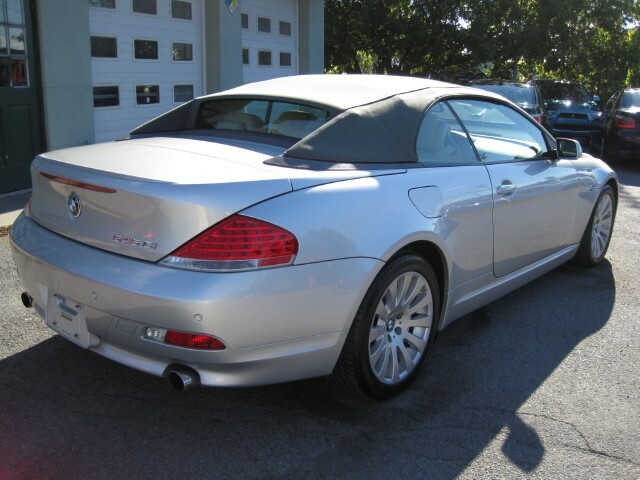 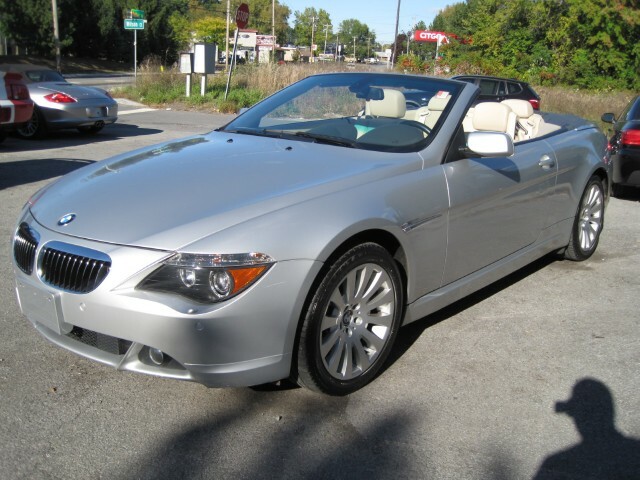 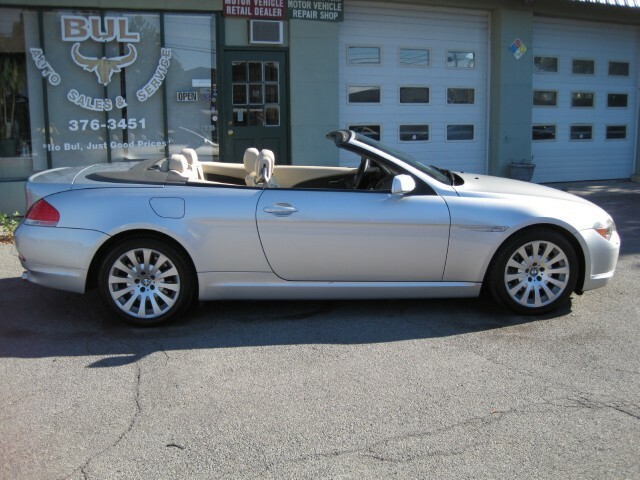 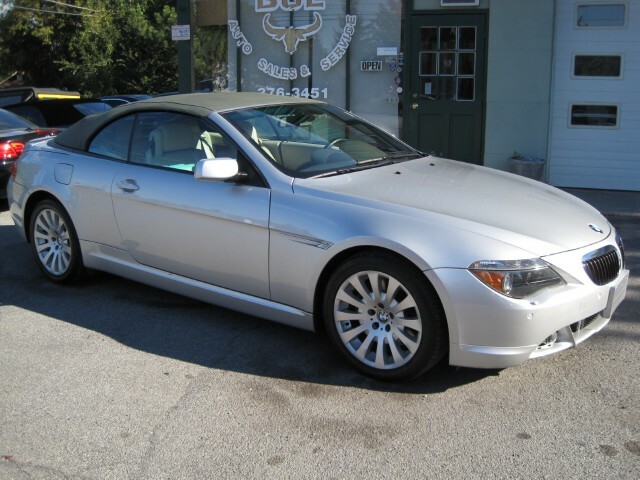 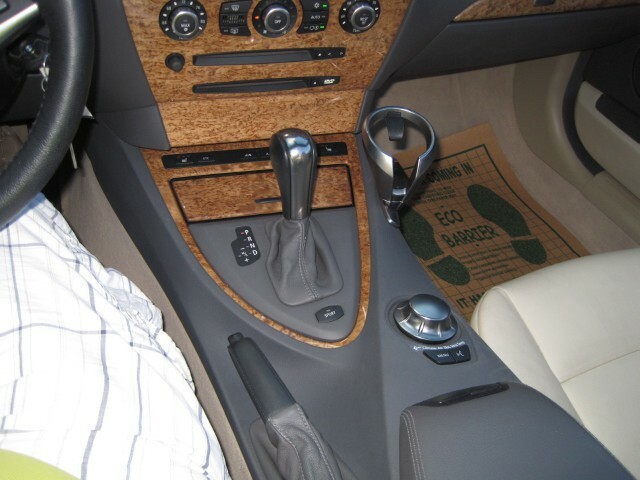 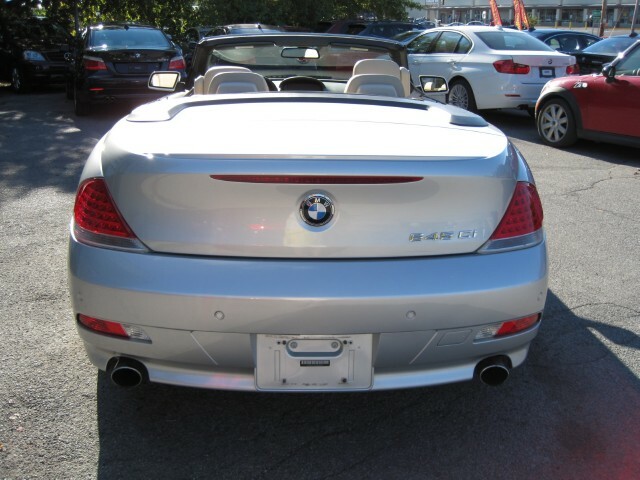 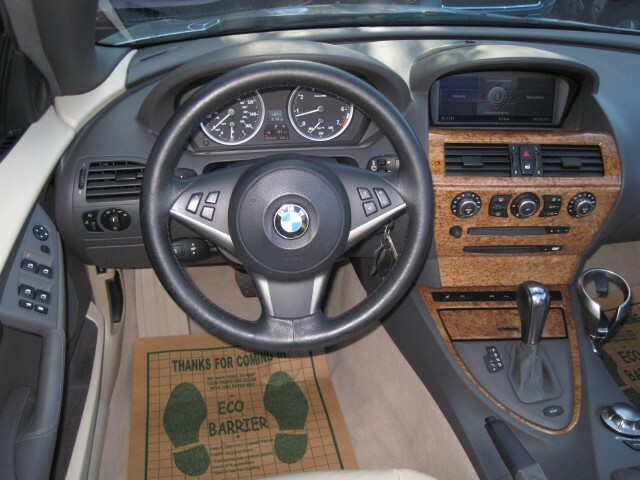 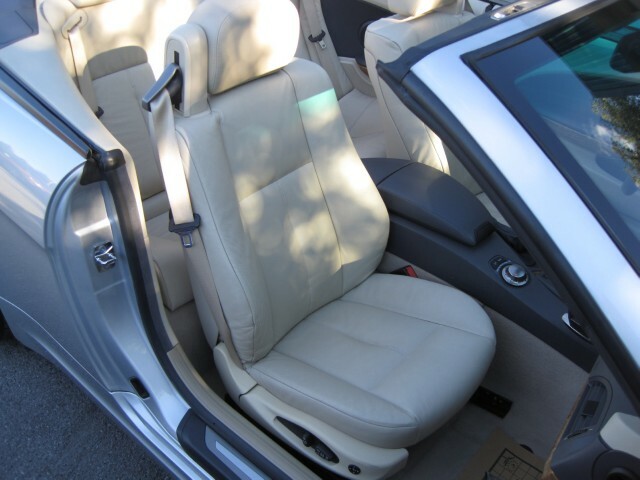 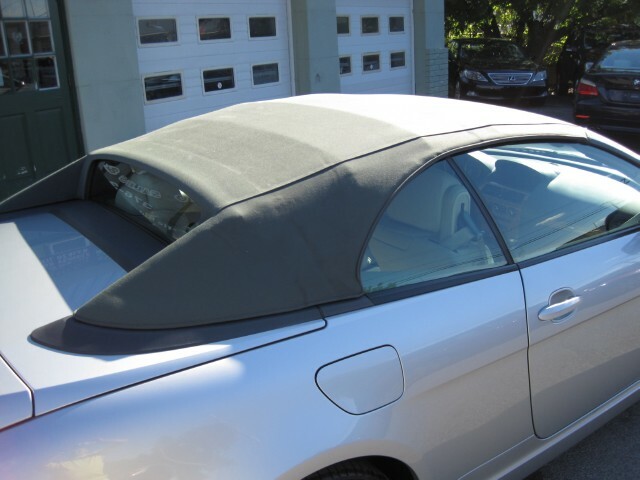 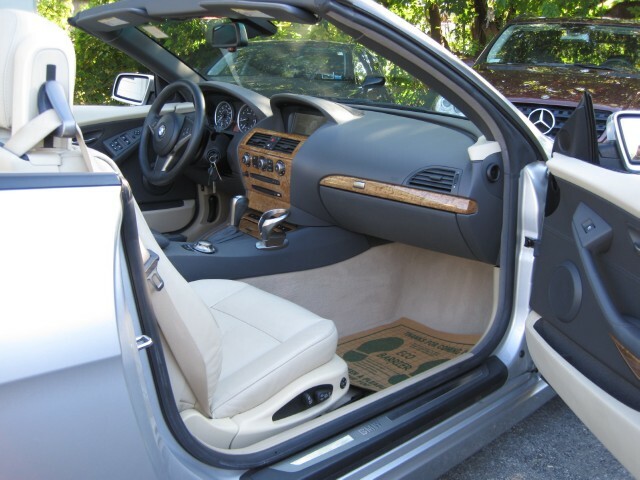 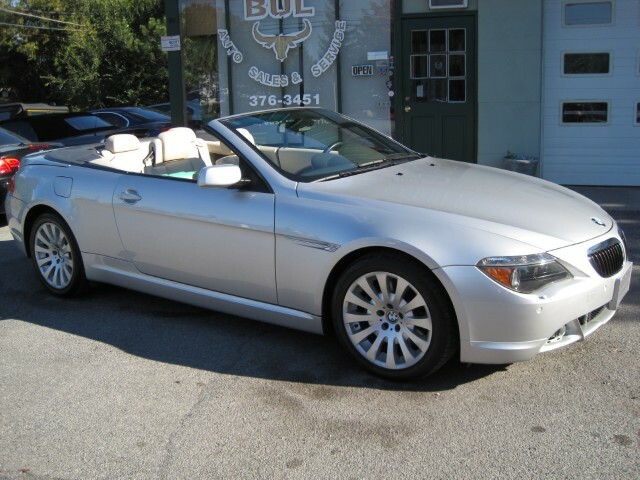 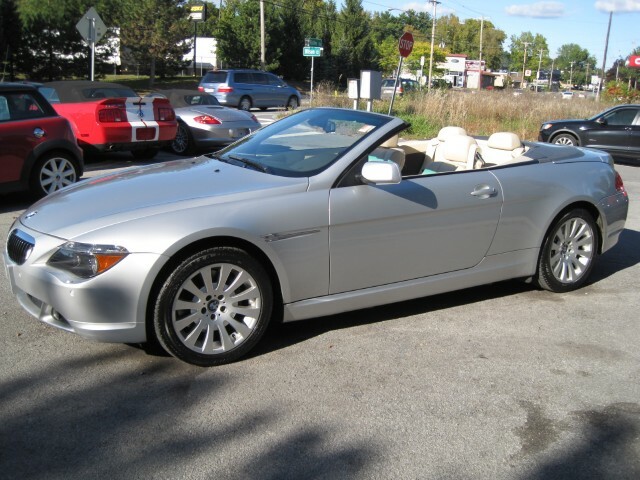 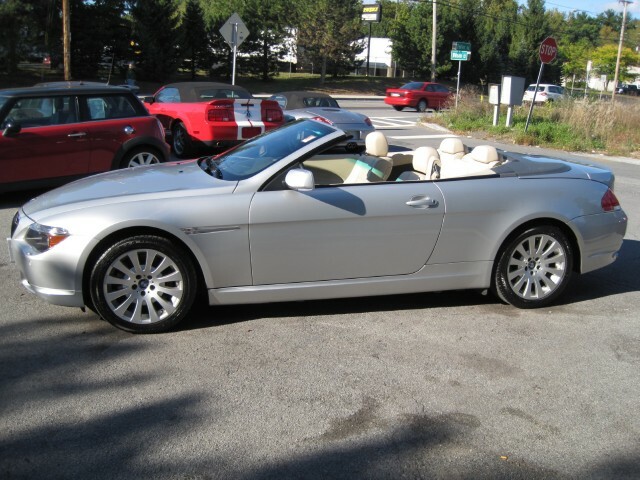 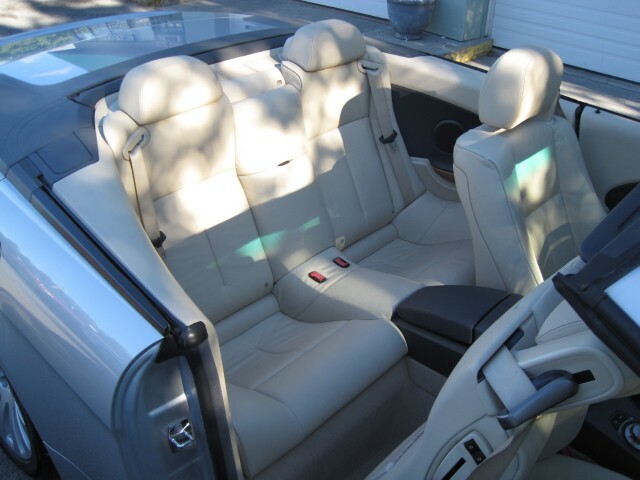 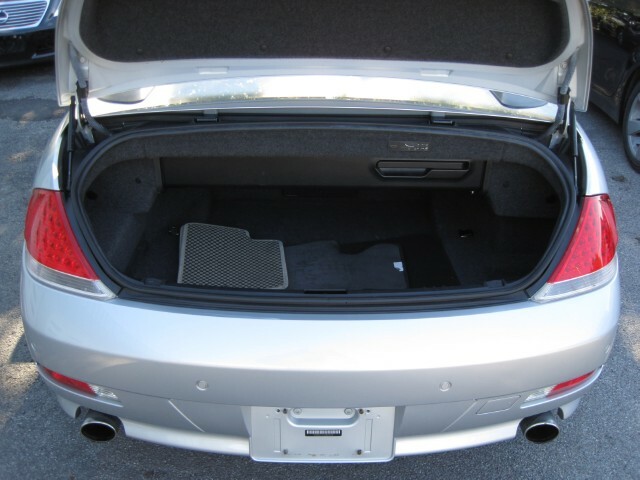 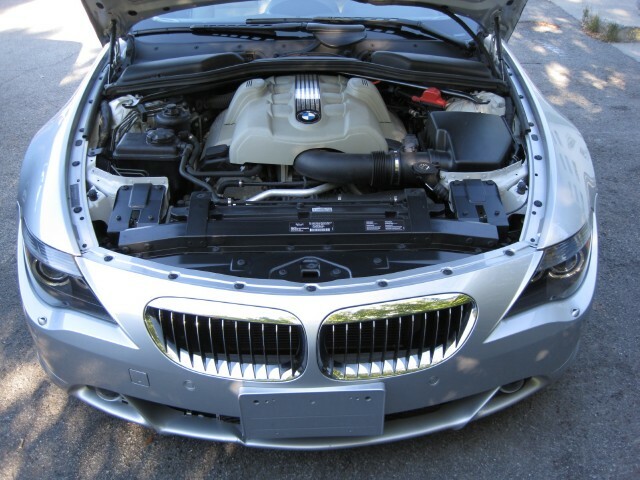 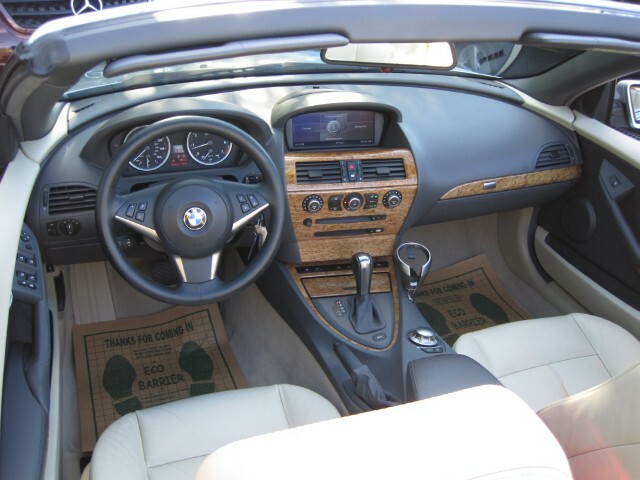 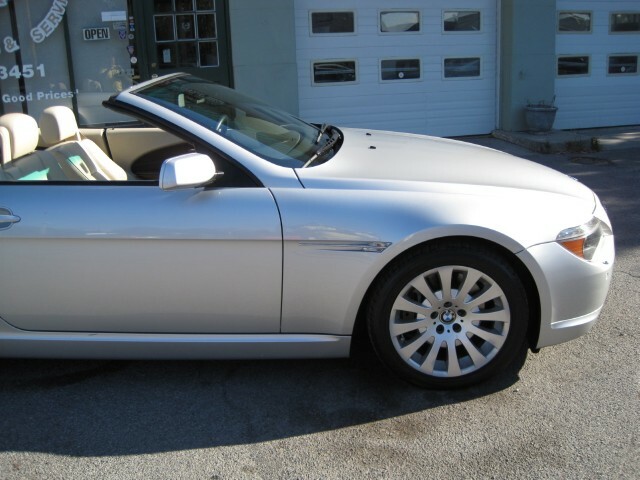 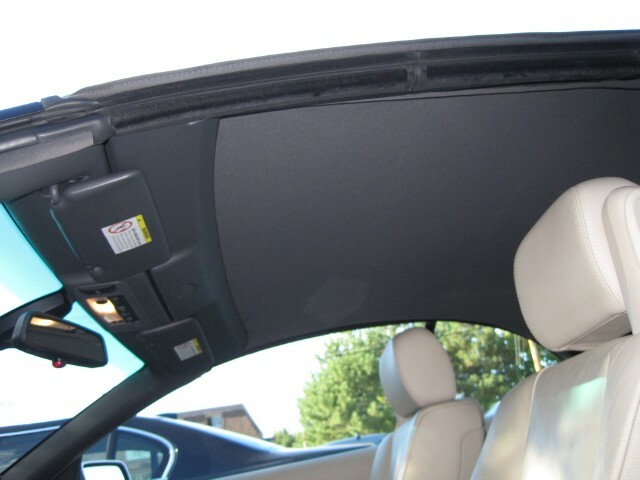 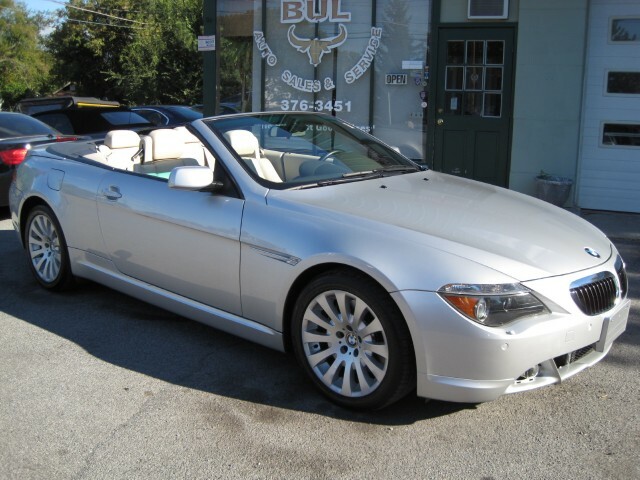 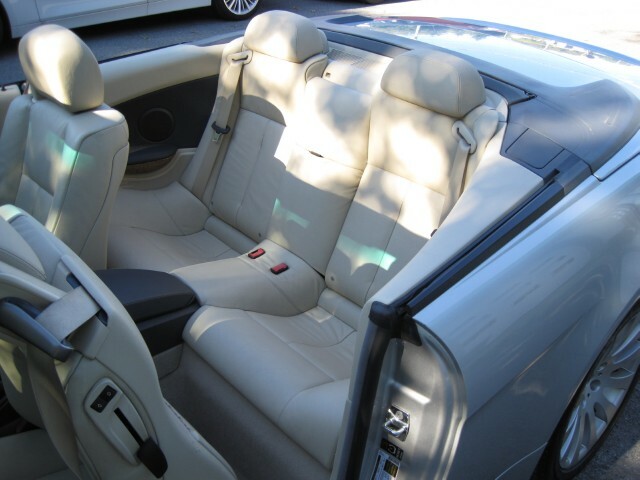 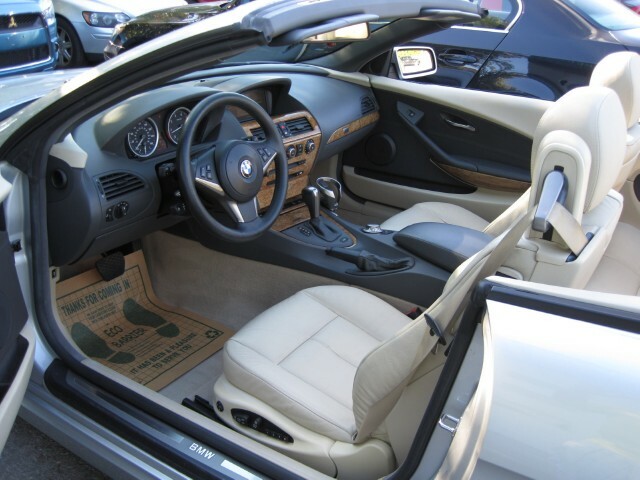 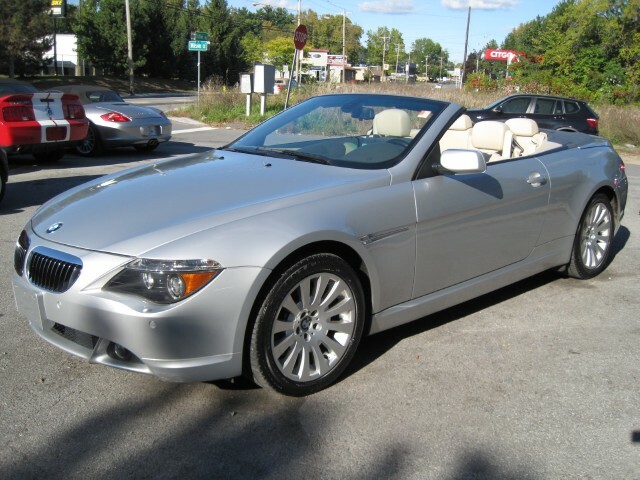 THIS BMW 645Ci CONVERTIBLE IS AUTOCHECK GUARANTEED HISTORY VEHICLE. 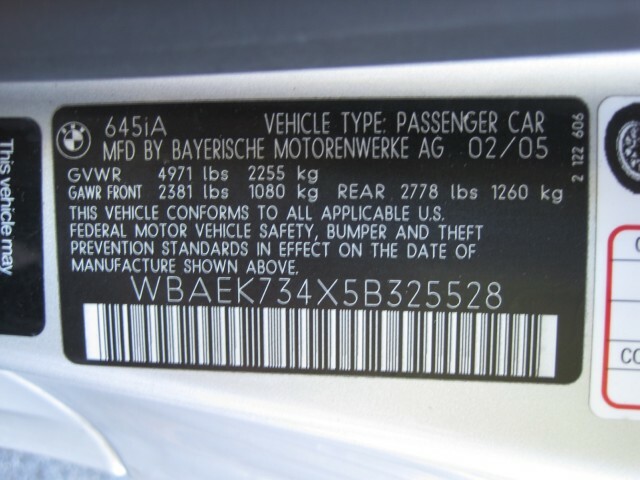 YOU CAN VIEW THE AUTOCHECK HISTORY REPORT FOR FREE, JUST CLICK ON THE AUTOCHECK ICON TO THE LEFT OF THIS DESCRIPTION. 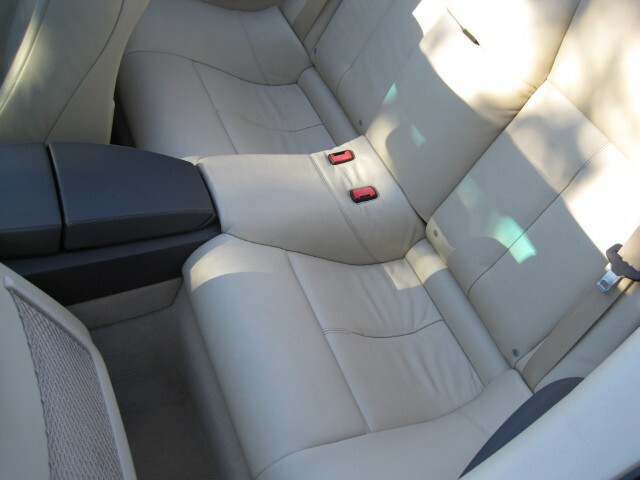 AUTOCHECK SHOWS AN ACCIDENT. 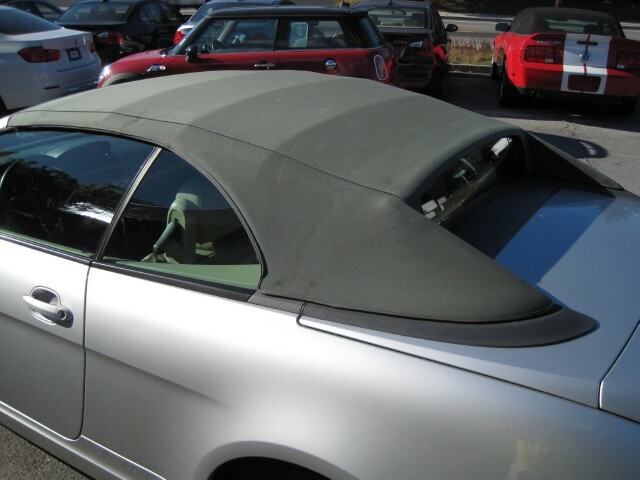 IT WAS MINOR AND HAD NO FRAME DAMAGE. 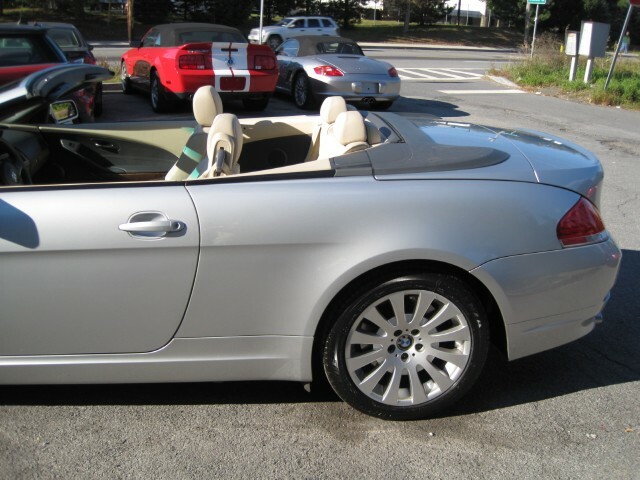 THE WIFE WAS NOT PAYING ATTENTION AND BUMPED INTO THE CAR INFRONT OF HER AT LOW SPEED AND DAMAGED THE HEADLIGHTS AND GRILLES AND HOOD. 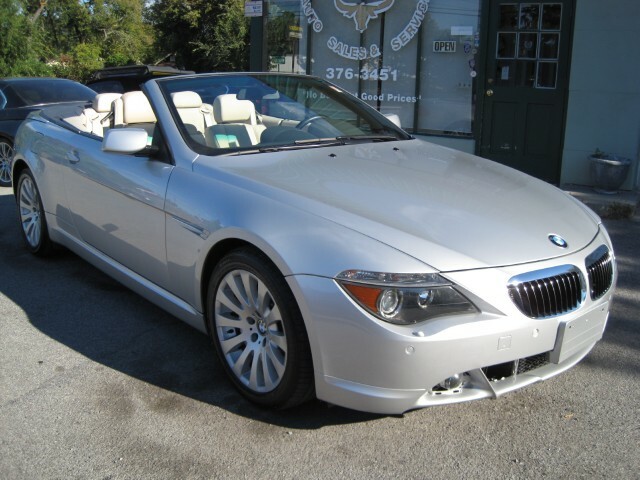 THEY HAD THE CAR REPAIRED BY THEIR LOCAL BMW DEALER. 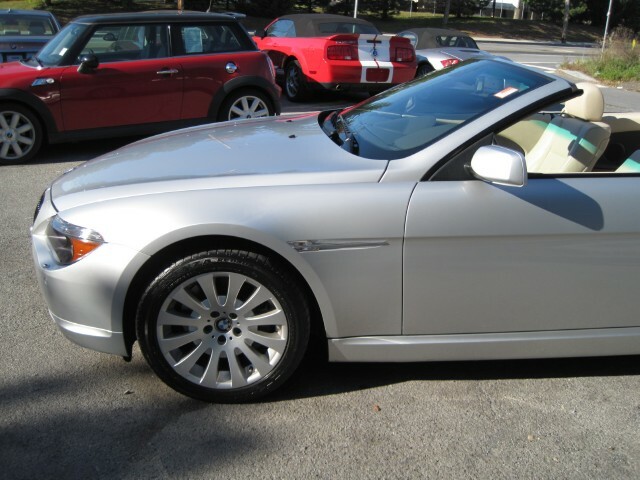 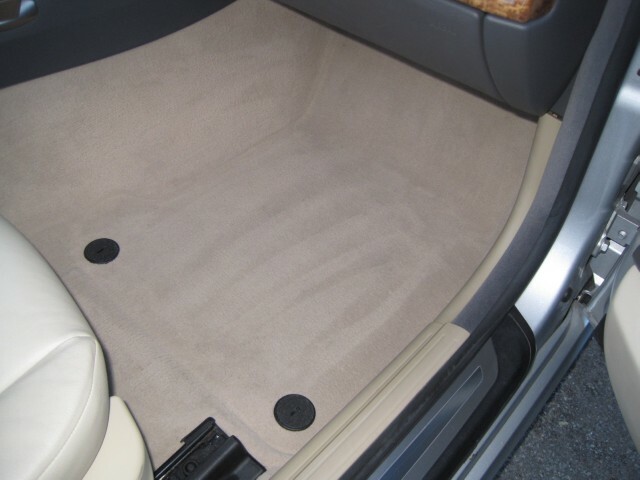 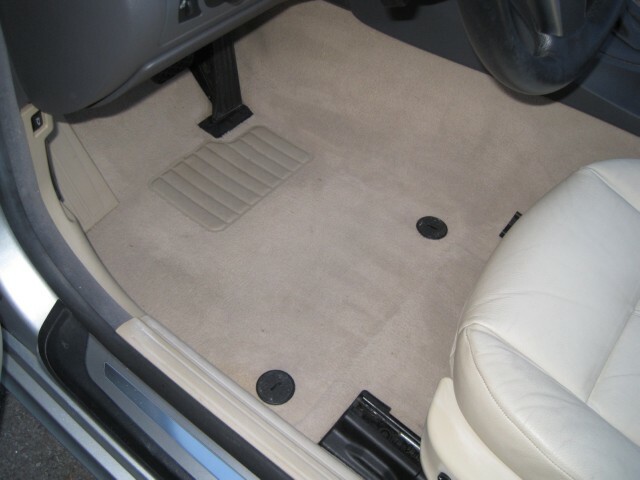 THIS CAR IS IN EXCELLENT CONDITION - GUARANTEED WITH VERY LITTLE TO NO WEAR OR TEAR INSIDE OR OUT. 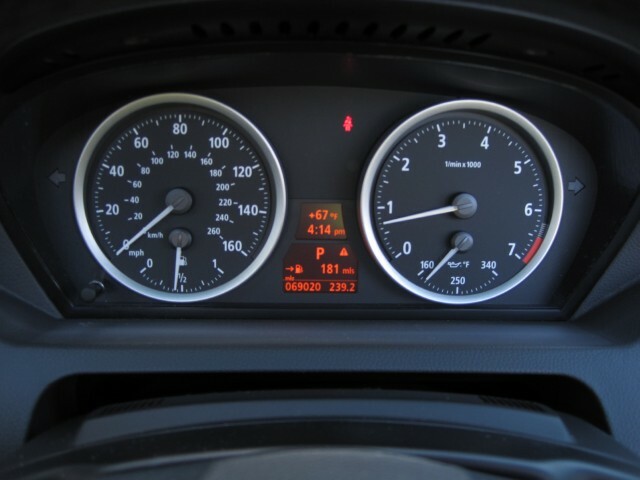 NOTHING OTHER THAT THE NORMAL FOR A CAR WITH 58K MILES. 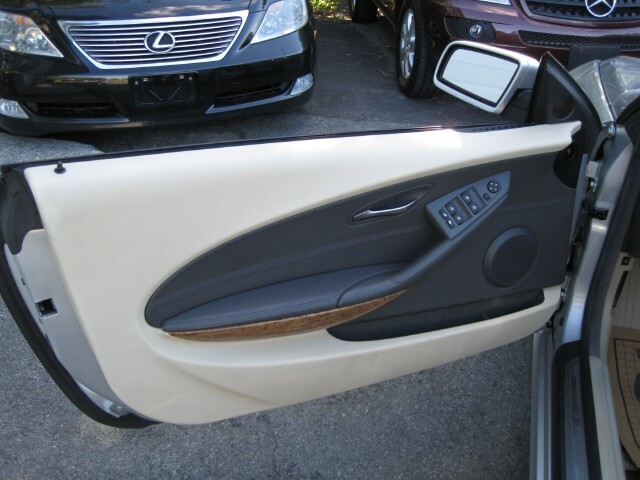 EVERYTHING FUNCTIONS AS NEW.